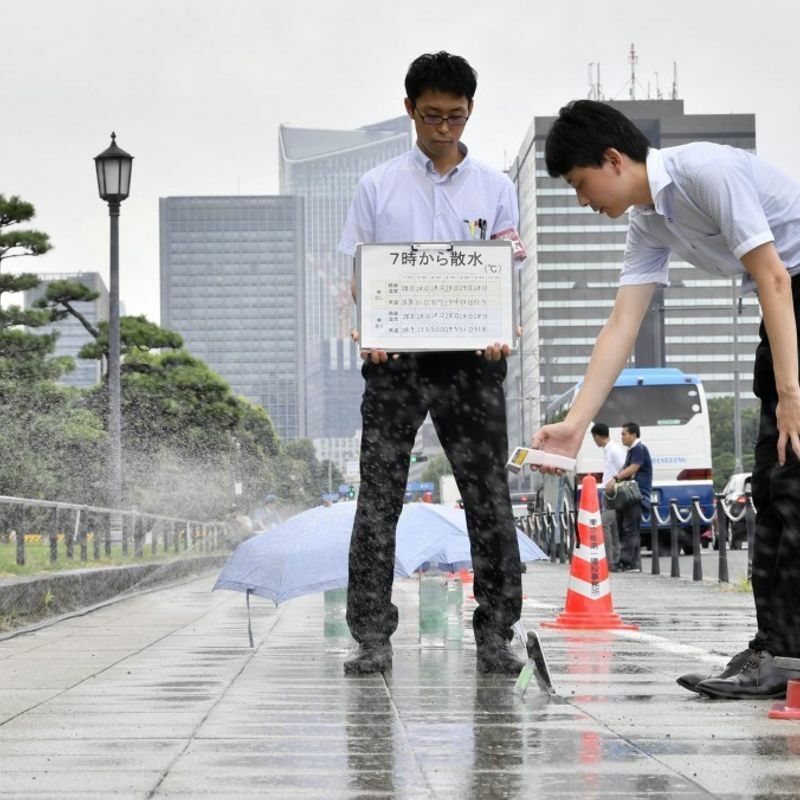 TOKYO - The Tokyo government tested sprinklers on the capital's street on Monday to see how effective spraying water is in countering scorching heat expected during the 2020 summer Olympics it will host. The experiment, conducted on a pedestrian walkway along a road where competitive walking will be held during the Tokyo Olympic and Paralympic Games, showed sprinkling water would keep temperatures on the street surface up to around 5 C cooler than the surrounding air temperature. 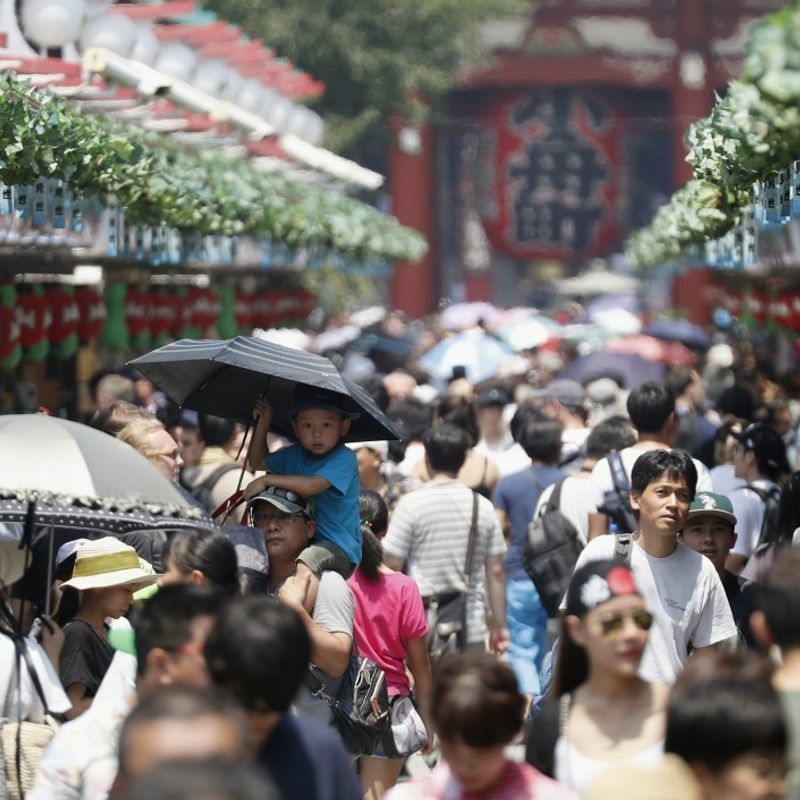 Heat has been a major concern for the games in Japan, where the temperature soared to a record high 41.1 C in July near Tokyo. The nation has already seen over 130 people die and 71,000 others taken to hospitals due to heatstroke or heat exhaustion between April 30 and Aug. 5. The Tokyo metropolitan government tested hoses with holes used for farming in three different settings -- using sprinklers from 4 a.m., 7 a.m. and not using them at all. Starting at 4 a.m. created some areas where the surface temperature was about 5 C lower than the air temperature, while other wetted locations also recorded temperatures between 27 C and 29 C even when the air temperature went over 30 C.
In areas where no water was sprinkled, the surface temperature eclipsed 30 C.
As it was cloudy when the experiment was conducted, a Tokyo official in charge of the experiment said, the results could be different if the weather is sunny. Tokyo already plans to introduce mist showers and special pavements to reduce the road surface temperatures.